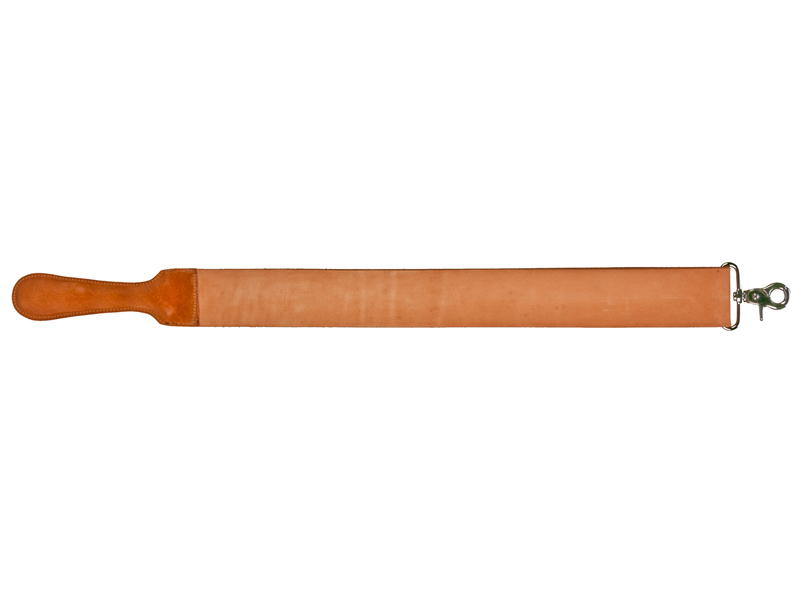 This is a finely crafted traditional cut throat razor strop. It is made from pure vegetable tanned leather with a nubuck finish that will sharpen your blade to an extra fine finish. 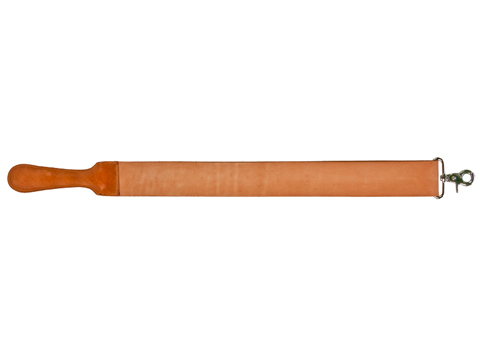 The strop has a padded leather handle to hold it safely and a parrot snap hook to suspend it from. This product is crafted in the style of yesteryear's strops and will give years of reliable service that will satisfy the requirements of the most discerning user.